Having been seriously injured, the author falls into a depression and has to discover how to live again. He begins with a quest to find beekeepers and real honey, starting in Italy. I, like another reviewer, struggled with the personal narrative. But after reading and digesting the memoir, the beginning explained the end. Ede's near-fatal accident was his personal "dust" to put aside, which he finally realizes in the part of the book that seemed most out-of-place, as it has nothing to do with beekeeping or honey. But in the end, his meditation retreat has everything to do with Sweetness. 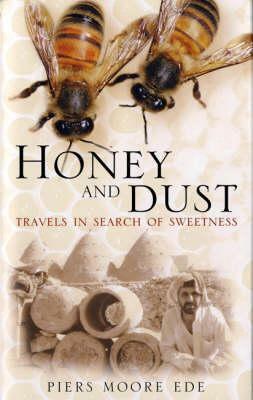 The book is as much about his physical travels as it is about his metaphorical journey to understand the Sweetness of Being. "So I started breathing again. Returned my attention to the breath. The heart slowed. A calm came over me. The image faded, the mind still once again as I sat, waging my own internal war against the world, which is nothing but my own imagination." 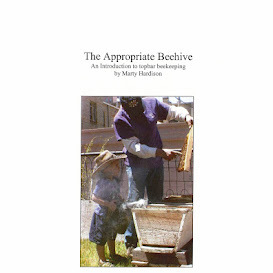 And so it is with beekeeping. When you stop thinking about whether the neighbors will flip out or about getting stung, whatever your personal dust might be — and just observe — your breathing, their voice, the mesmerizing coming and going — that is the Sweetness of Being.